If you’re building or renovating you’ll be asked to sign a building contract – at least you should be! It’s essential – and we mean essential – to have a written contract in place for building work to set out what’s being done, when it’s supposed to be done and who’s paying what to who. A good building contract doesn’t just cover the basics. Building industry standard contracts include a variety of statutory based consumer protection provisions such as deposit limits, clarification of insurance obligations and practitioner registration requirements. They also address payment terms, time extension procedures and damages in the event of late completion. Architect administered standard contracts do all of that and include the architect as an assessor and certifier. This takes the double personality role of builder based contracts out of the picture – as these contracts require the builder to be both the builder and building certifier – hardly clever for the owner. A bad building contract won’t properly cover any of these things and might even be worded to your disadvantage. The challenge is to be able to tell a good contract from a bad one. Successful building projects rely on good communication which begins with a clear, fair building contract. 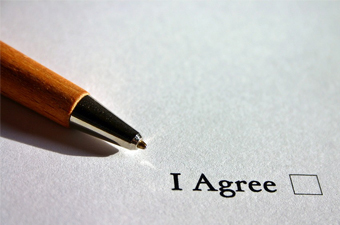 If you have an architect involved in your project they will source an appropriate contract, ensure that everything necessary is covered and arrange for you and the builder to sign it. If not, you should get some advice from an architect or a lawyer with construction industry experience.